Thanks for buying the Dialed book, and for using the methods at your shop. More and more bike professionals are starting to use the Dialed approach. It’s simple and makes sense. As a refresher: RAD is the distance between your bottom bracket and grips. This is determined by your body size and proportions. RAAD is the angle of your RAD compared with level. 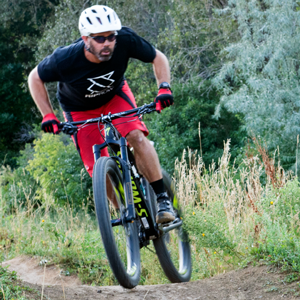 In general, XC bikes have low RAADs, and DH bikes have higher RAADs. We should put all of our weight into our feet, which puts your weight in the bottom bracket and distributes it to the tires based on the ratio between your bike’s front center and chain stays. That used to be about 45/55 front/rear. These days it’s more like 40/60 with some enduro bikes putting even more weight on the back of the bike. That said, we should occasionally put power into the handlebars and front of the bike. This makes angle changes in bumps, and it helps drive the front tire into the ground for cornering. There’s an important distinction between weight and power. Handlebars should get no weight, but lots of power. By the way: Bikes with a major rearward weight bias can inspire confidence while plowing through gnar, but they require more effort in flat corners. While the new geometry is fashionable, for many riders it’s not helpful. Smart people tell me the geometry pendulum will swing back to more moderate numbers. To answer your question: Cockpit setup should have nothing to do with weight distribution. The rider should balance on her feet. The bike’s weight distribution is based on the position of the bottom bracket within the wheelbase. If you follow the methods in the Dialed book, and especially if you make the measurements with a RipRow, you can dial in your customers very quickly and easily. 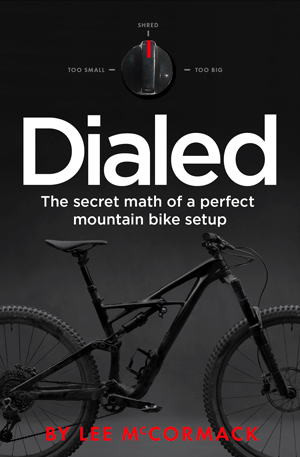 Learn more at the Dialed book and the Lee Likes Bikes MTB School. Lee: Re your distinction between power and weight on the handlebars. I’m assuming the “power” is anti-row push while maintaining heavy feet; while weight is the dreaded heavy hands. ????? Yes! The dreaded heavy hands. On the plus side, I can finally get a bike with a decent length reach, so I don’t have to run 140mm stems. 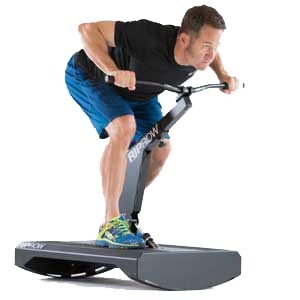 At the same time, the slack head angles push the front wheel further forward. Combined with the long reach and the fact that short chainstays are still very fashionable, and that most brands don’t lengthen them for bigger frame sizes, and many bikes would put my weight at 75/25%! Cornering is already my weakest issue, I don’t need the bikes to make it worse! This seems to be a real issue for all riders, but especially for tall riders.